Treasury Today’s global Women in Treasury initiative recognises the importance of women in the corporate treasury profession and creates a means for women in treasury to communicate with one another; learn from each other and network in order to help each other. Whilst the treasury profession remains largely male-dominated, there are remarkable women enjoying remarkable careers. Women need to be much more visible in their roles, both inside and outside of their organisation. While women can hesitate to promote themselves, this initiative aims to help bridge the gap. 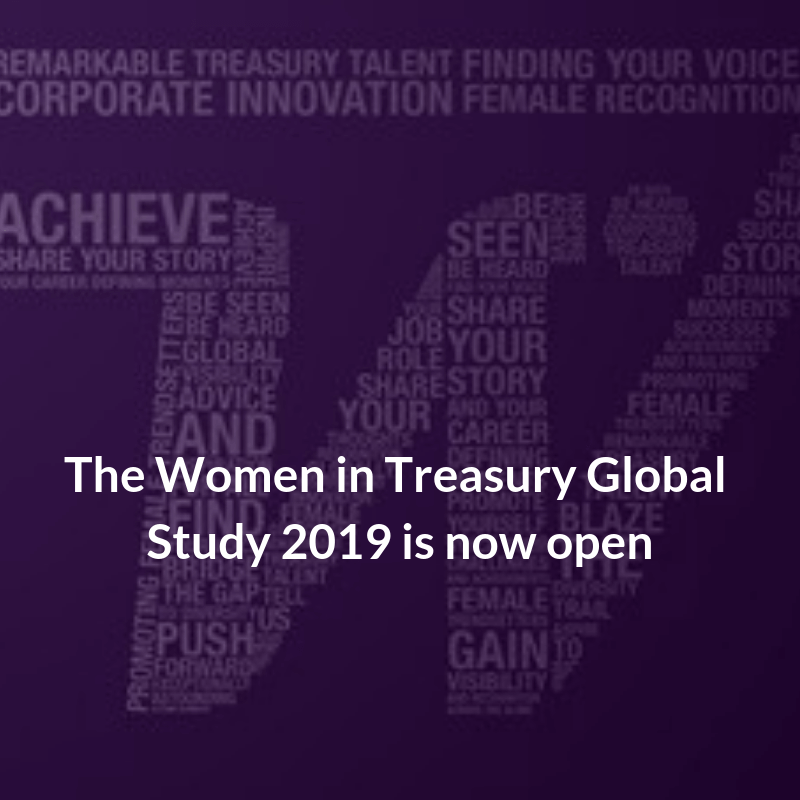 Treasury Today run an annual global study of women working in the treasury profession to build up a picture of the profiles and careers of women from junior roles to Group Treasurer/Financial Director/CFO positions. The study is now open and we strongly encourage you to participate and make a difference!